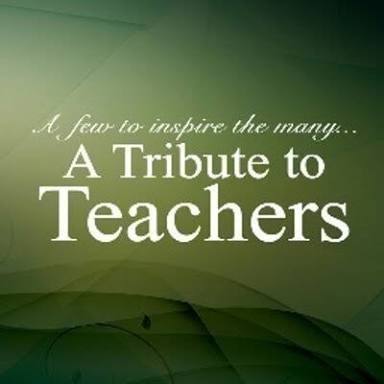 A Tribute To My Teacher. Revealing to me a rainbow of great possibilities. Your cares overwhelmed my heart. Filling me with essential knowledge. And blossoming amongst others like the first flowers of spring. Your diligence is what made me who I am today. And selfishly have all of it to myself. All the sacrifices you made for me.